This Dermologica Skin Kit for Normal/Oily skin contains a full regime of products designed to help clear, hydrate, control oil production, and restore skin to a healthier state. If you’re a first-time Dermologica user, then prepare yourself for great skin with this Skin Kit for Normal/Oily skin. And, if you’re already hooked , these convenient travel sizes will bring professional skin care wherever you’re going today. A soap-free, foaming gel designed to thoroughly remove excess oils and impurities without disturbing skin’s natural moisture balance. Spritz on critical hydration with this refreshing blend of skin repairing aloe, moisture-binding humectants plus soothing lavender, balm mint and arnica. This is a lightweight, oil-free lotion that helps combat hydration. Apply to the face and throat with light upward strokes. A skin-polishing exfoliant with natural grains that removes dulling surface debris for a smooth, healthy complexion. 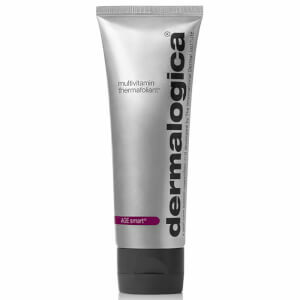 A perfect little kit to try out some of Dermalogica's best selling oily skin products. Special cleansing gel is a lovely cleanser and leaves skin feeling clean and non oily for the whole day, something my nonobservant partner even noticed! 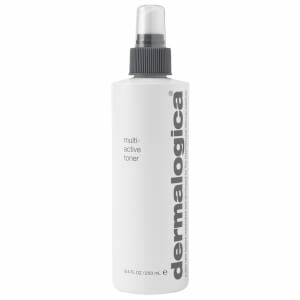 I felt that the toner was a little harsh for my particular skin needs (but I have very sensitive oily skin). Mosituriser leaves skin feeling moisturised but not oily. Lovely matte look when you have finished your daily regime. For those with more sensitive skin I would recommend the Ultracalming range instead of this one, that range has solved my oiliness and sensitivity in one fell swoop. This kit however did give me the chance to try out the Precleanse and that is such a fabulous product I don't think I will be going without it from here onwards. Great kit and excellent pricing.